Located right on Orkos Beach, Orkos Blue Coast offers elegant, self-catering accommodation with free Wi-Fi and terrace or balcony with views to the Aegean Sea. Shops, bars and restaurants serving fresh fish are 500 metres away. Featuring white furnishings, all units at the Orkos feature a kitchenette with fridge, coffee machine and cooking facilities. Each has a satellite TV and air conditioning. The private bathroom comes with a shower. A children’s playground is offered for younger guests. The area offers windsurfing and kitesurfing facilities within 500 metres of the Orkos Blue Coast. 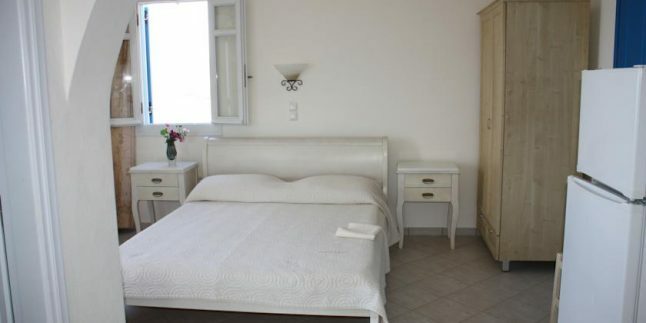 The property is 500 metres from Mikri Vigla Beach. Naxos Airport is within 9 km. Naxos Town and the port are at a distance of 10 km. Staff can arrange car rental and free private parking is possible on site.